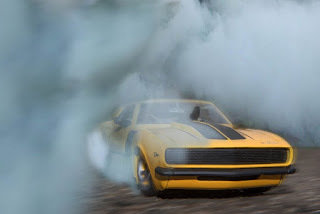 Any change in the color of the smoke, such as white smoke from the exhaust, is certainly a sign that there is a problem with your car. The severity may vary depending on the type of smoke. The problem can be caused by accumulation of condensation and may not have any obvious effects. But the drivers need to understand what white smoke means. White smoke is the problem when your car emits white smoke from the exhaust pipe. White smoke may or may not be a big problem depending on the thickness. The white smoke is the result of normal condensation forming in the exhaust system. So, if it's as thin as steam, there's nothing to worry about, as it will disappear quickly. On the other hand, thick smoke is a big topic. Thick smoke usually comes from the defective engine coolant, which can lead to many serious problems, such as: Damaged cylinder head, blown head gasket, cracked engine block ... which can cost the car owner a lot. In this situation, we recommend not to ignore it. A coolant leak, even if it is small, can lead to serious damage to your vehicles. timing of the fuel pump is no longer working. Checking or modifying the injection is not a recommendation from us, as this task requires a lot of skills that beginners should not try. Instead, have your car checked by a mechanic without wasting time. Another problem with white smoke is the leaking coolant. The display is recognizable if white smoke appears when the vehicle is running, but not when it starts up. Often, heavy exhaustion of white smoke when the car is running can be an indication of expensive and complicated problems. If the cylinder head, cylinder head gasket and fuel filter are damaged or the engine is clogged or cracked, white gas will leak out in large quantities. Attaching or replacing these parts can be expensive. There is a gasket in the vehicle, which seals the distributor at the head. These parts take on the task of distributing the combustion mixture together with the coolant to the separate inlet opening. These connections are placed in the cylinder heads. You need to understand this now: if it gets damaged, the coolant will get into the port and combustion chamber, producing white smoke while driving. To remedy the problem, the driver must remove the intake manifold and inspect the inlet seal. If there is a leak or rust, you know where to repair. Remember to perform this step only if the inlet seal is working properly. Then we come to the cylinder head gasket. This is a part of the car that seals the cylinder head to prevent coolant from entering the cylinder. Leaks or damage in this area can cause the coolant to enter the chamber. The cylinder head is the aluminum car part, which tends to break when overheated. This part is important because it is connected to the engine block and the head gasket. Car owners Note: If this part is broken or damaged, you need to change it. There is no room to overlook the issue of white smoke. Other vehicles are not only affected by white smoke, but also mean that your car is in trouble and requires extra attention. It can cause problems for you and the other drivers if you do not fix it before driving.